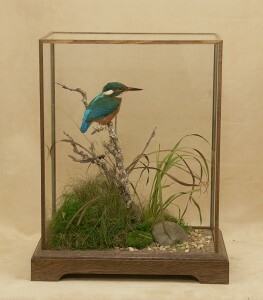 Bird Taxidermy Prices – these are for having an item mounted provided by yourself. Items from my stock can be a lot more. Please add 20% for birds in a flying pose. Prices include finishing on a wooden base, but casing and complex groundwork will be more. Casing and complex ground work is extra. If you are looking for a bird from stock or the bird is not mentioned, please contact. Items from stock will cost more. Any bird must have met with a legitimate death and have a signed letter stating such. If you are unsure of how it died please contact. The bird should be wrapped in polyethylene and frozen. 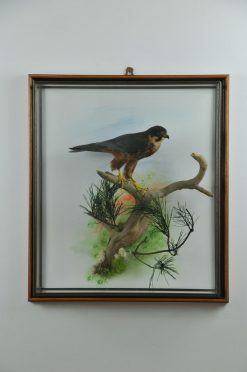 I have successfully mounted a bird after having been frozen for more than 20 years but obviously it is far better to have it done within a year or so. Just keep it well wrapped and do not forget to keep a record of how, where and when it died. Sending your item – transportation within the UK can either be by post for smaller birds (this must be first class post – enquire at your local post office FOR NEXT DAY DELIVERY) or courier dependent on size. Please also ring me to make sure someone is here to accept the item - 01937 844580. Packing – please pack in a box to stop the item being crushed and if large, make sure that no fluid can leak from the item otherwise it could be destroyed on route. Use a suitable amount of tissue/newspaper then polyethylene. When sending an item you wish to have done, please fill in a Job Sheet. If sending a stock item (ie you don’t want it to be mounted for yourself and you are donating it to me), please fill in Log Sheet-(Word) / Log-Sheet (PDF) (to save right click and choose “save as”). Any Problems please ring or email. 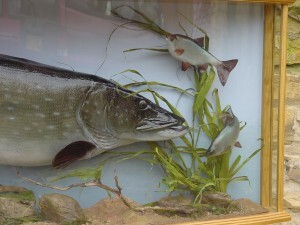 I no longer do Fish Taxidermy and you will need to use another taxidermist. 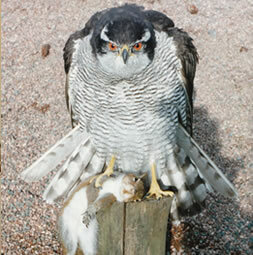 Remember to check the quality of the Taxidermist’s work prior to commissioning a project. Ask to see photos or the physical item. check they are doing the work or if farming the work out, the same person will be working on your item. Prior to taking your fish to a Taxidermist, keep it frozen taking great care of the fins ideally protecting them with cardboard covered in polythene. Do not gut the fish. 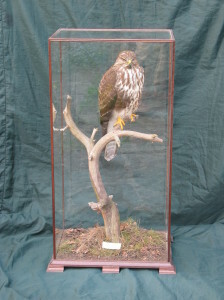 I no longer do Pet Taxidermy. In short, “Get it done right or not at all”. Your Pet can be kept deep frozen for years, so no rush! Unfortunately, I do not now do pets but the following will help if you have a pet and would like it to be modeled. To make sure you are happy with the idea of having your pet modeled, please keep it in the freezer for at least 3 months as you may well think differently after that time. 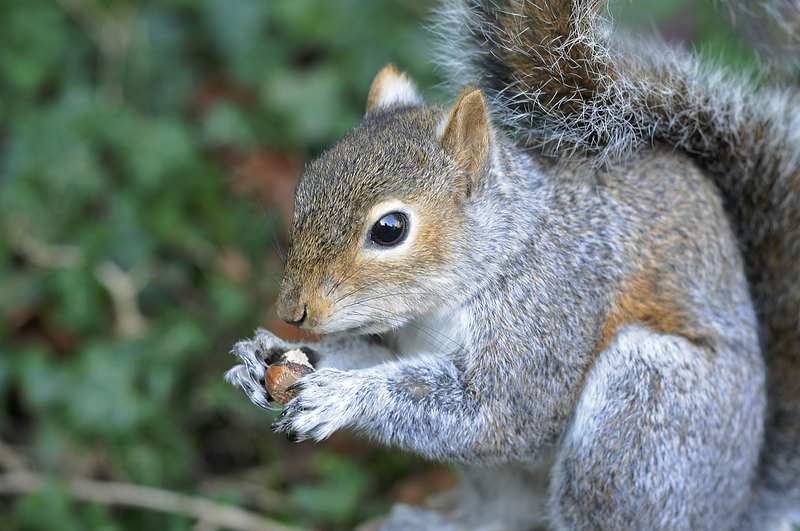 Taxidermy will not bring your lost animal back to life. It will at best be a representation of your pet. You should consider the alternatives such as simply burying your animal, keeping a photograph or commissioning a sculpture/portrait. 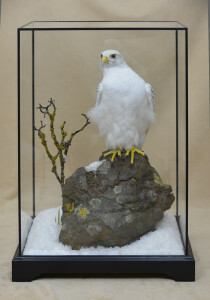 Taxidermy is an art If you decide to go ahead with modeling your pet, you should choose a taxidermist by the quality of their work, not their price or location. If they are too expensive or you do not like their location, DO NOT HAVE THE ITEM DONE. You should expect to pay approximately twice the cost of a wild species, as there will be a lot more work in the project. 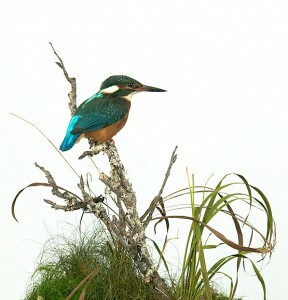 As of 2000, there are about 3,000 taxidermists in the UK of which there are 14 Bird Specialists, 6 Mammal Specialists, and 4 Fish Specialists. A taxidermist with this qualification has the MINIMUM standard you should accept. They must be able to show you work of a good standard. Make sure the person you speak to is going to do the work and if not, make sure you are happy with the person they are sending it to as some dealers just send the item to the cheapest trade person they can find. As of 2000 there are about 3,000 taxidermists in the UK of which there are 14 Bird Specialists, 6 Mammal Specialists, and 4 Fish Specialists. 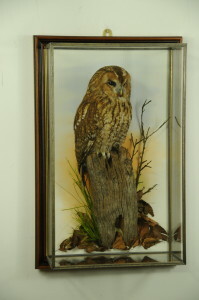 A taxidermist with this qualification has the MINIMUM standard you should accept. They must be able to show you work of a good standard. Make sure the person you speak to is going to do the work and if not, make sure you are happy with the person they are sending it to as some dealers just send the item to the cheapest trade person they can find. These Cases are Glass and cannot be sent via the standard post. You should arrange collection - we are located 1 mile off the A1 near Wetherby in Yorkshire. To work out a price choose a style from the example photos below and follow the link to enter inch sizes to calculate the price. 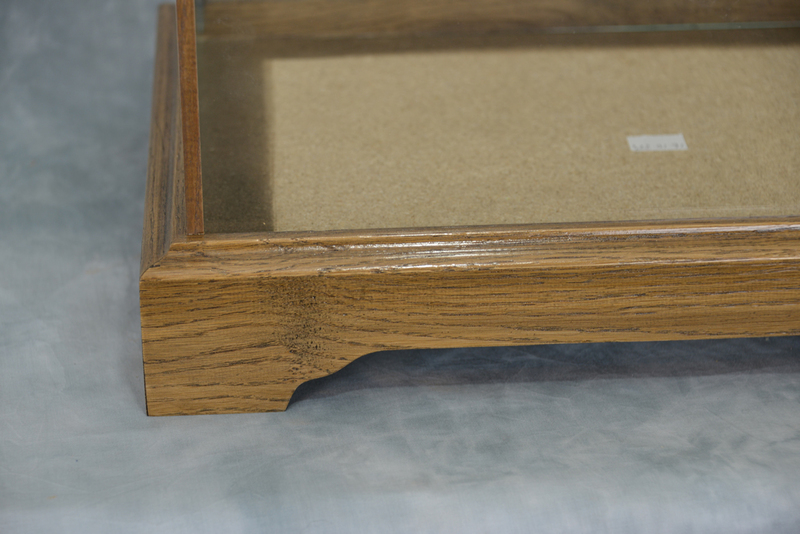 This is a simple glass cover made with birds mouth beading on edges and frame beading to base. Glass lid is removable. This is a simple glass wall case. The back of the case is removable. Back board is made from MDF. For best results try and make the depth as small as possible. This case is 6". 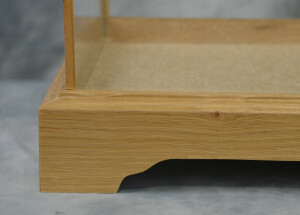 These cases are made of solid oak with a MDF or chip board base. 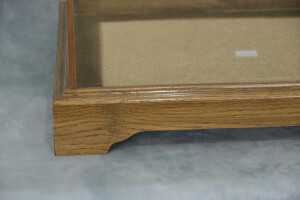 The corner moulding is a very fine right angle oak beading of about 12mm. 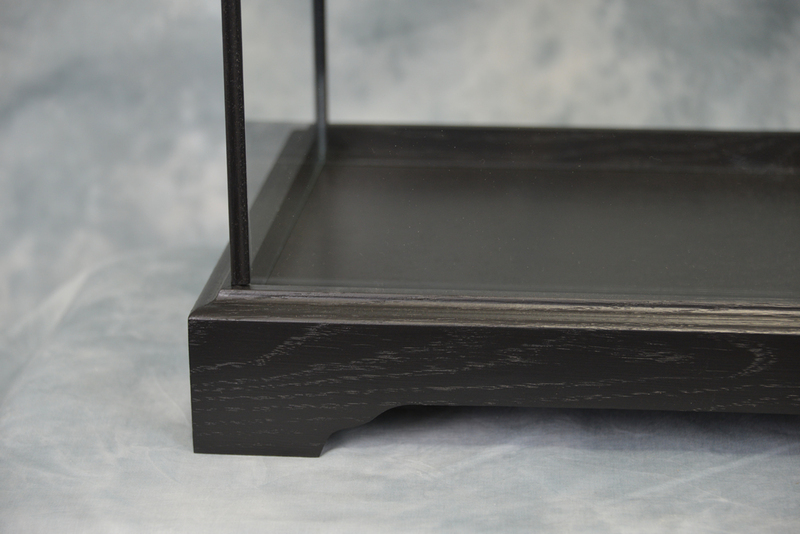 They can be made in three styles - natural and just varnished, stained (medium as photo) or paint finished (photo shows black paint finish). 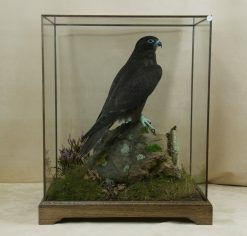 See Display Cases links below.